Easy, pull-on dresses that are playful and easy to wear. 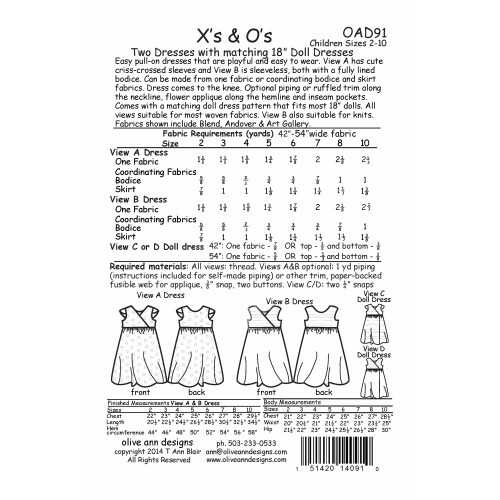 View A has cute criss-crossed sleeves and View B is sleeveless, both with a fully lined bodice. Can be made from one fabric or coordinating bodice and skirt fabrics dress comes to the knee. Optional piping or ruffled trim along the neckline, flower applique along the hemline and inseam pockets. 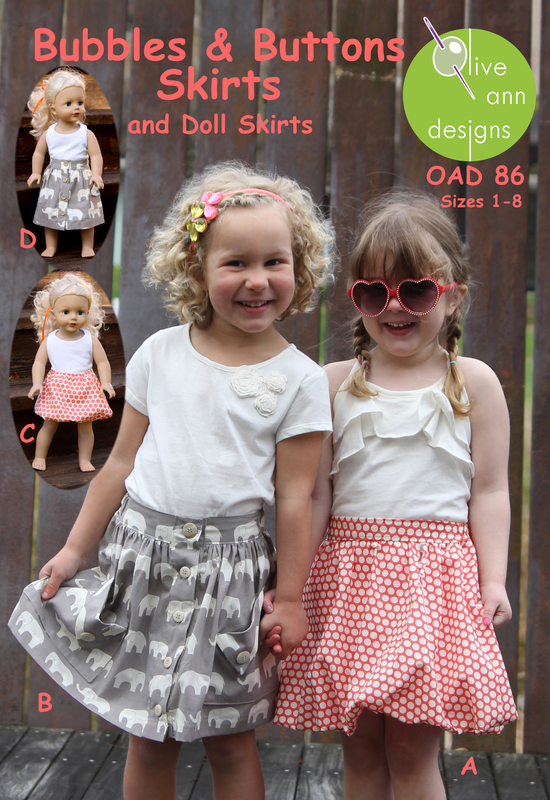 Comes with a matching doll dress pattern that fits most 18" dolls. All views suitable for most woven fabrics. View B also suitable for knits. Fabrics shown include Blend, Andover and Art Gallery.